When I found out we were expecting a boy for this pregnancy, I felt a bit of a panic wash over me after the initial excitement. After seven and a half years of all girl everything in this house (poor T), my imagination hit a wall when I tried to think of how I wanted to decorate baby boy's room. Today, I'll share some of the inspiration I've used to make plans for this nursery...which still has a long way to go. 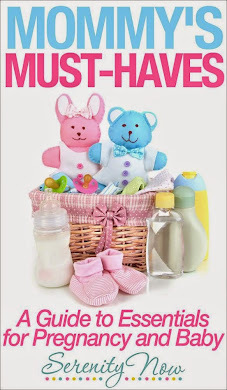 The first thing I did was head straight over to my Pinterest profile and start a baby board to corral all the ideas I could find as I scoured the internet. I knew I didn't want to do an entire themed room with murals and complete matching bedding set, etc. etc. I considered doing a vintage cowboy look, but nixed the idea because we did that for my sister-in-law's baby shower a few years ago and I wanted to try something different. I was wandering through Home Goods a couple of months ago and found myself on the pet aisle. I noticed that they had some adorable dog themed baskets and dachshund bookends and immediately was drawn to the idea of using dogs in the baby's room. We are definitely a "dog" family and some of my earliest memories revolve around my family's Irish Setters and English Cocker Spaniels. I picked up a few things. With the decision to let the room go "to the dogs," it was time to start hunting for bedding and accessories. I knew I didn't want the nursery to look like one giant dog house, but I thought that some puppy dog accents and artwork would be cute. I really hit the jackpot with searches on Google, Pinterest, and Etsy. 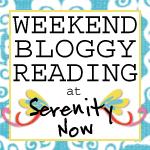 Some things I will be DIYing...maybe a cute bunting, some wall art. I need new window treatments this time around, as Natalie managed to shred the roman shade that was in there before. I'm wondering if I can find a plain Roman shade with black-out liner somewhere and just embellish the edges with ribbon? What's your favorite nursery theme for a boy or girl? What a darling idea - love it! And I love that nurseries today aren't all about cartoon characters anymore! It's going to be such a cute nursery! I love the idea of a puppy theme nursery! Decorating a baby's room is always lots of fun. love this theme! it's not babyish, so as baby boy gets older, you can add more grown up dog stuff. those tail hooks are the ca-utest! Love the doggy idea. I have a son and he is obsessed with his dogs. I love the artwork you chose. Can't wait to see it all put together! Very cute theme! I was tempted to do something similar but we are having a girl. So of course the shabby in me went shabby chic! I hope you are feeling well. I believe you are due a week or two after me. this is going to be so cute Amanda! So excited for you! Love this idea Amanda!! Very Cute options, now that you get to decorate and shop for a little boy!! How fun and can't wait to see the Final room decorated. 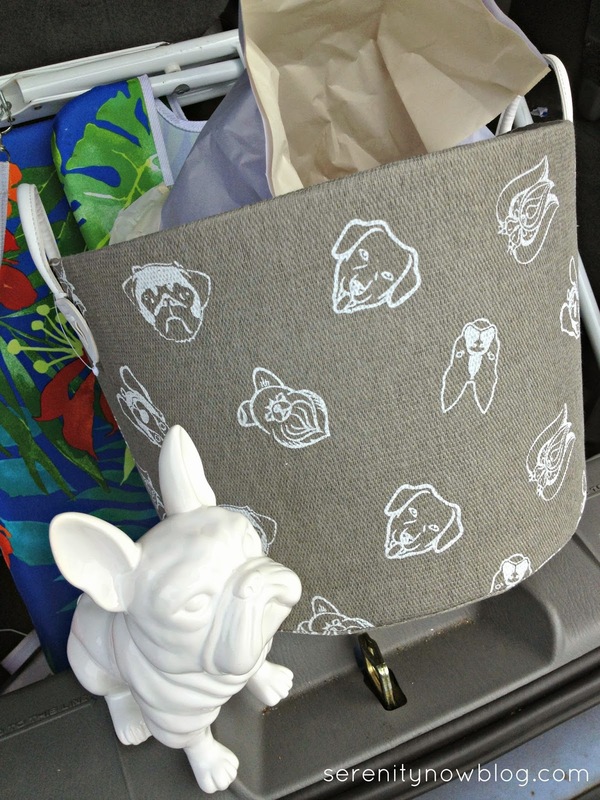 A doggie theme is going to be perfect for your little boy. And, it is one that will work for many years. I can't wait to see the finished product. 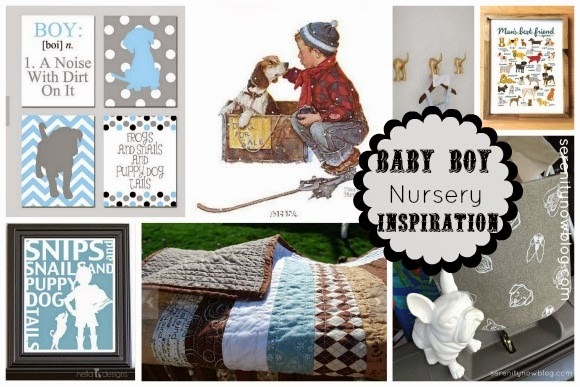 Love the idea of a puppy dog themed nursery! But then...I love puppy dog themed anything! What a great idea for your baby boy's nursery! I know this nursery is going to look and feel very special when complete! Eek! I'm so excited to see this come together! And so happy you are letting me play a small part of it. Such adorable inspiration - I LOVE it! !